There are so many myths and misconceptions about dog shock collars that a lot of people are hesitant to use them, robbing themselves of a valuable training tool, according to Keith Benson, general manager of Triple Crown Dog Academy, America’s premier dog training, boarding and event center in Hutto, Texas. "Probably the most prevalent myth about dog shock collars is that they are not a safe training device; that they are cruel and inhumane, and that simply is not true," Benson said. "They, as well as most types of training equipment, are very safe and very effective when used in the right manner. "With a good training program and understanding of proper use, the collars become very easy to use and very effective." And the electric stimulation applied by the collar is not the jarring, painful charge of electricity that some people imagine. Nor is it physically harmful to the dog. "It's not like a shot from electro-convulsive therapy or a wall outlet like some people think," Benson said. "In fact, the levels of stimulation we use when training dogs is like the static charge you get when you rub your feet on the carpet and then touch something," he said. The idea is not to make the stimulation painful, but just enough to communicate with the dog, he said. "We just want it to be uncomfortable for the dog, like when you bump your elbow on a table." Of course, if distractions increase, then the stimulation level may have to increase. For instance, if a rabbit runs across the road, the dog is not likely to be paying as much attention to the trainer, Benson said. But still the stimulation level should be nudged up just enough to get the dog's attention. Myth No. 2: Dog shock collars can burn a dog's neck. “Not true,” Benson said. "The stimulation that a collar can output from the battery that's housed inside is not high enough to physically burn even if it is set on a high level for long period of time," he said. The collar must fit snug so that it does not rub back and forth, which could wear away hair on the dog's neck. If the collar is not clean and is rubbing into the neck then hot spots could develop and create a sore that could be mistaken for a burn, he said. Or maybe the collar was left on too long or it was too loose and an infection began to appear. Myth No. 3: Using a dog training collar is more stressful on the dog; that it is not as humane a training method as traditional methods of a leash and choke chain. Again, not necessarily so, Benson said. Typically, dogs at Triple Crown are trained with collars set in a low-level continuous stimulation mode, meaning that the stimulation is being sent until the dog performs the correct behavior. "The faster he responds to the command the quicker the stimulation stops,” Benson said. "Then we give the dog plenty of praise and reward." 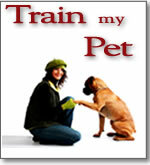 Therefore, the stimulation level has to be low so the dog is able to think and learn. "I'm teaching the dog to problem-solve, how to listen to my command and shut off the stimulation," he said. But back to the stress myth. "I'm using an escape conditioning technique where I teach the dog to shut the collar off. Therefore, the dog is in control and goes through less stress. And he learns much faster," Benson said. "This is based on sound learning principles." Myth No. 4: Remote training collars are difficult to use; that only professional trainers should use them. With today's advanced collars that is certainly not the case, Benson said. Improved technology has made them much easier to use and understand. Almost any dog owner can understand the operation and use and will be able to communicate with his dog with 15 or 20 minutes of instruction, he said. "It is however important to understand how to use them before you put it on your dog," Benson said. "If you do not fully understand, then seek help from a experienced professional." Myth No. 5: When you use a dog shock collar you can't use traditional training aids, such as clickers or cookies or other rewards. "We use them all," Benson said. "In fact, we use more reward and praise than anything else. Praise is very important. You have to let them know when they do something right. You can't just let them know when they did something wrong."